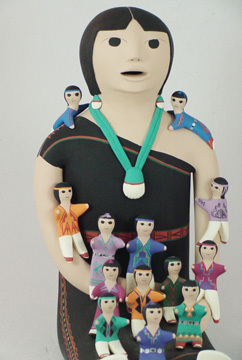 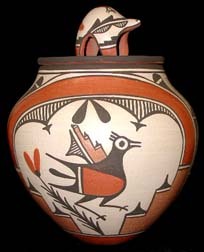 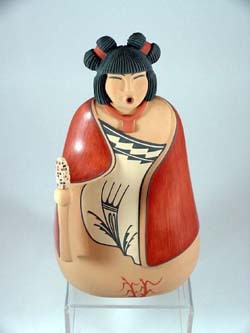 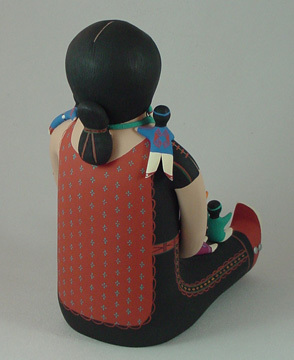 mary Quintana from Cochiti Pueblo makes sharp looking, detailed storytellers, painted with bright colors. 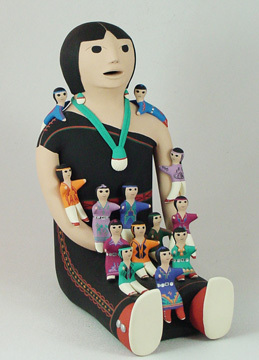 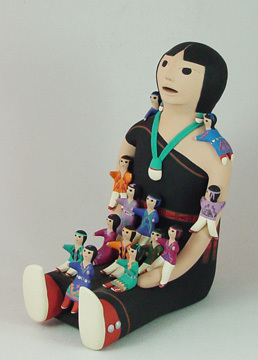 The present item has 13 kids, on her shoulders, arms and lap all brightly dressed in distinct clothing with arms outstretched. 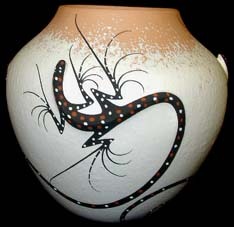 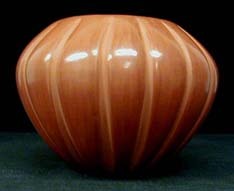 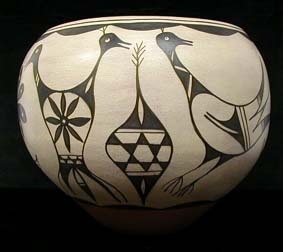 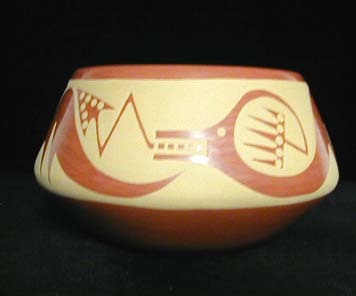 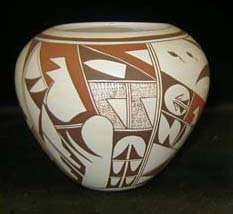 The pot measures a full 12 inches tall by 6 inches wide.